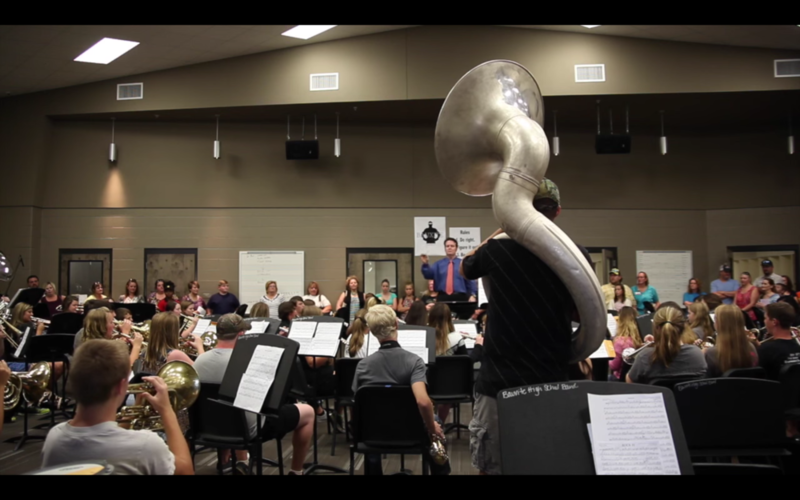 The Arkansas School Band and Orchestra Association Concert Assessment for the Bauxite High School Band is Friday night at Benton High School. Three adjudicators will assess their performance and give our band a rating for their performance of graded literature on stage. Based on our school classification, we are required to play one "grade two" piece and one "grade one" piece. Grade one is the easiest. We are playing two "grade three" pieces. We will perform at 8:00 p.m. Immediately after our stage assessment, the Bauxite Band will move to another room where they will be assessed on sight reading. The concert portion of assessment is free and open to the public. Please feel free to attend and support the very hard work of our students and staff!! Because of their first division ratings at Marching Assessment, they are eligible to be awarded the ASBOA Sweepstakes Trophy if they receive first division ratings on stage and in sight reading Friday night! This would be their first sweepstakes trophy since 2009-2010, and only Bauxite's third sweepstakes in school history.